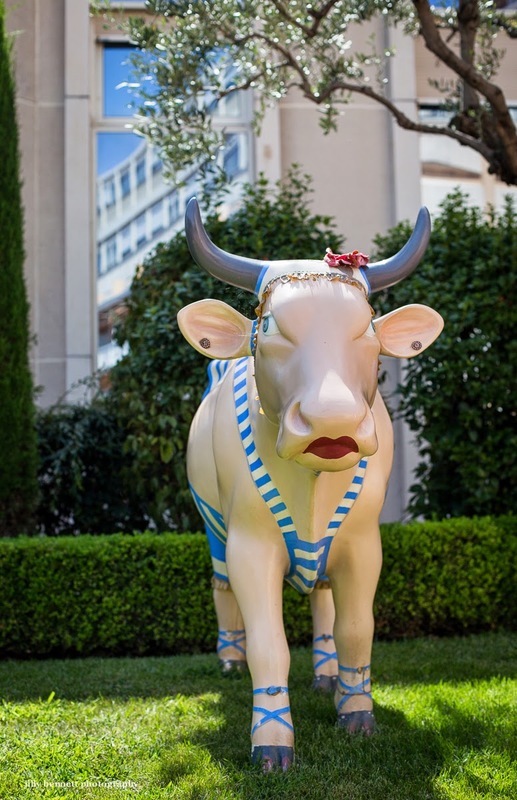 You'll find this cow in the gardens of the Princess Grace Hospital in Monaco. 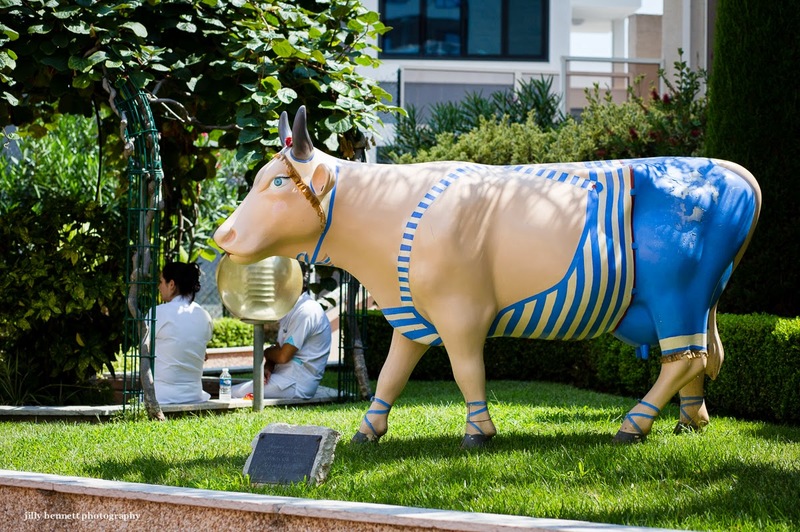 She's called 'Elegante au Bains' and has been decorated by sculptor Anne Quemar. 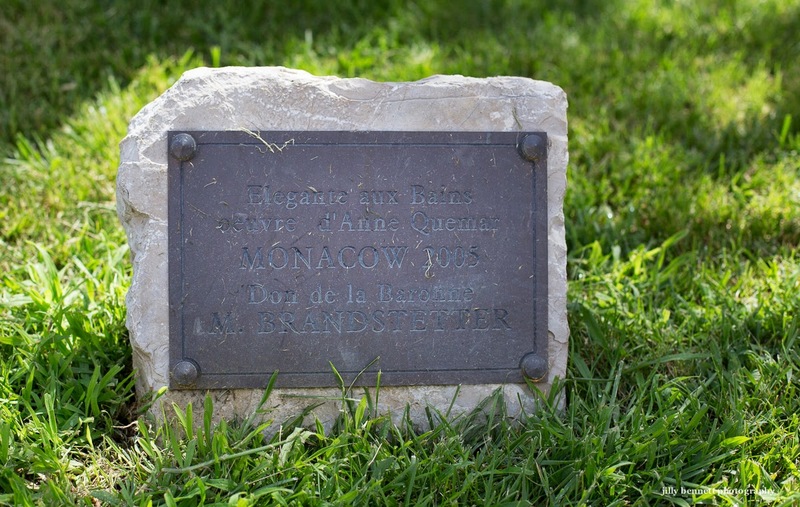 In 2005 there were dozens of cows all over Monaco. They'd been created by well-known artists and scuptors in aid of charity. This one was bought by the Baronne Brandstetter and donated to the hospital. She marks the smoking area in the gardens.